For those of you who are unfamiliar with author/illustrator, Kim Krans, I highly recommend her picture books. Not only are they stunning, but her work is highly original and full of whimsy. Both ABC Dream and 123 Dream are wordless, however, Krans uses the format to allow audiences to explore her artwork and discover all the ways her choices align with the numbers and letters represented. They are also a challenge to see how much you and your little ones know about your numbers and letters. Her most recent picture book, Whose Moon is That? differs from the Dream series in that it’s a short narrative conversation regarding ownership of the moon. The story is sweet, insightful and will get your little ones excited about looking up at our night sky. Looking for more fabulous Kim Krans artwork? She is also the creator of the highly acclaimed Wild Unknown Tarot. In the mood for something cute? 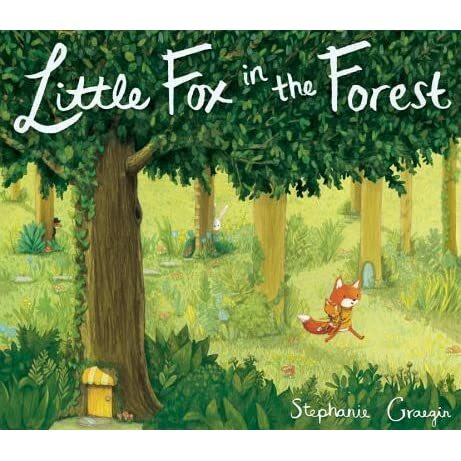 Stephanie Graegin’s debut picture book as author and illustrator, Little Fox in the Forest, is a wordless triumph. 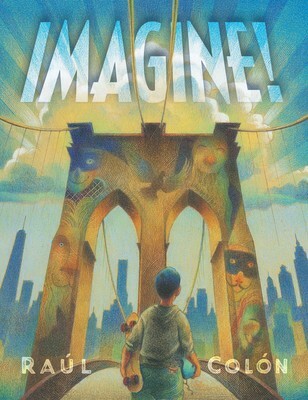 The story is heartfelt and the pacing of the narrative is perfect for younger readers. This is certainly a book that little ones and adults will enjoy perusing over and over with a great message of friendship. Graegin has illustrated a number of other books in our collection so be sure to check them out. 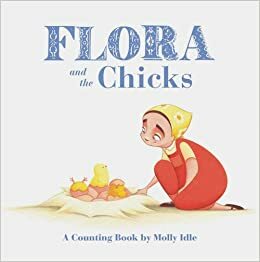 Today, Molly Idle has released her first board book which happens to be the fourth entry in her seminal Flora series. Flora and the Chicks is an adorable, mostly wordless, counting primer. Your little one will love exploring numbers 1 through 10 with Flora and her brood of hatching chicks. The old adage regarding playing while mom’s away definitely applies here, much to the delight of the chicks and the chagrin of Flora who does her best to keep up with their the ever increasing number. Definitely a sequel to check out while we wait, impatiently, for the next installment, Flora and the Ostrich: an Opposties Book, also a board book, coming in September. Can’t get enough Flora? Be sure to stop by ICPL to see all of her other work and the books she’s illustrated for other authors–our friendly staff would be happy to help you find them all! The final installment of Aaron Becker’s Journey trilogy is finally here and was it ever worth the wait. Return is a breathtaking finale that equals its prior installments in every way. Immensely detailed, cinematic and profound, Return is the perfect denouement to Becker’s seminal series. While in essence this is the culmination of the trilogy, Return denotes and necessitates a renaissance of the Journey, a Return to the beginning. For those of you unfamiliar with Aaron Becker’s work, I highly recommend starting at the beginning of his wordless Journey. Personally I have enjoyed going from start to finish to start–it’s incredible to compare the detail in these works side by side. 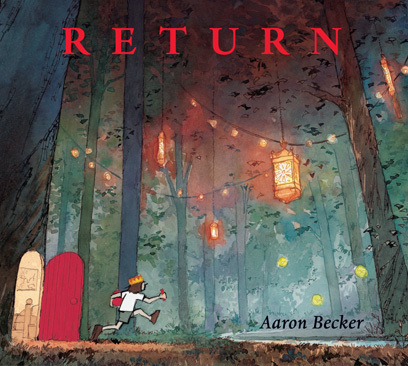 I look forward to seeing where Aaron Becker will take us next but will go on this journey over and over both in anticipation and continuous wonder. Check out the videos below from his website–the first is a mini documentary about the making of Journey the second is the official book trailer for Return. Flora is at it again in the latest installment of Molly Idle’s wordless series. 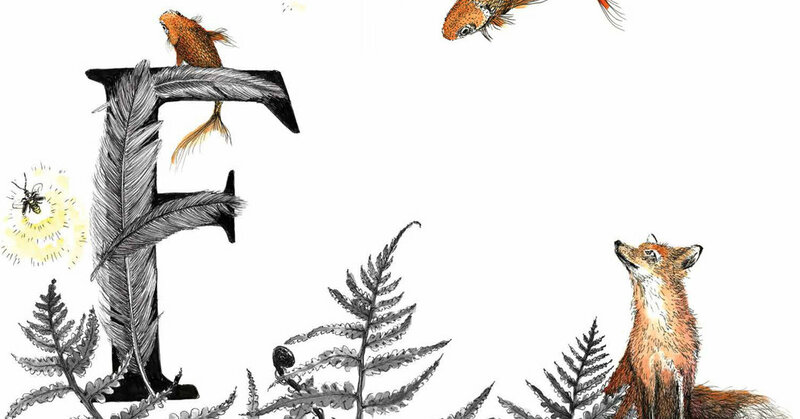 Flora and the Peacocks is a beautifully wrought sequel to Flora and the Flamingo and Flora and the Penguin. In this latest iterance, Flora continues dancing through life and lessons with two new friends who just happen to be peacocks. Characteristic of her style, Idle has dressed Flora with matching colors and accoutrements that mimic the body type of her avian dance partner: a fan with peacocks, flippers for the flamingo and ice skates for the penguin. Beautiful, delightful and humorous, audience members should prepare for this pas de trois to turn a little fowl before the bold finish. Idle has continued to impress with this series and remains an enduring contender for the Caldecott.